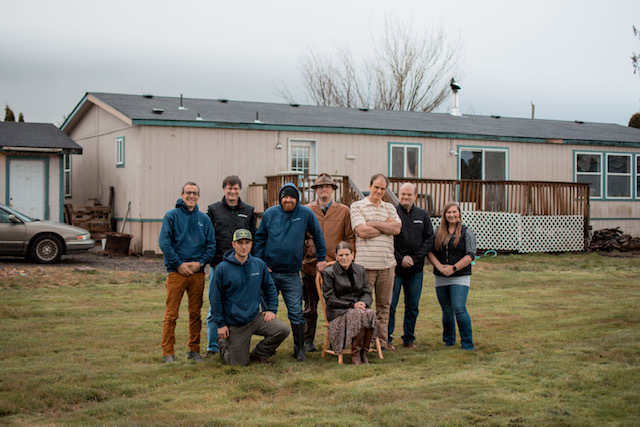 With tarps and pallets on the roof and buckets in the home to catch the leaking rainwater; the Roose family in Tillamook was in desperate need of a new roof. But with medical bills to pay, the nearly $17,000 project seemed like an impossibility for Yvonne Roose and her three boys. 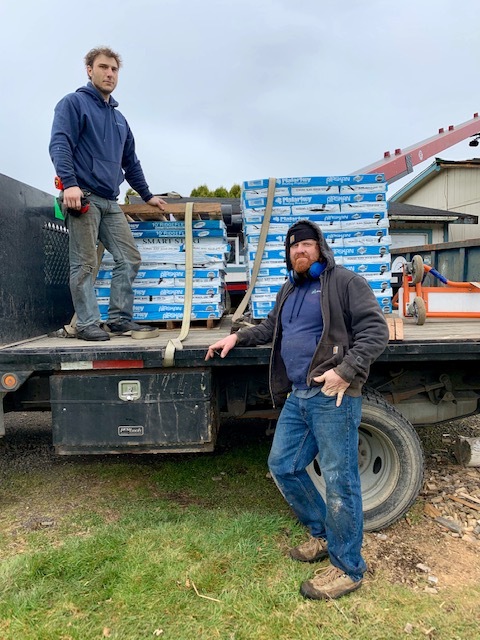 Luckily, with the help of Tillamook Habitat for Humanity, Oswego Roofing and many others, the Roose family received that helping hand they were looking for. 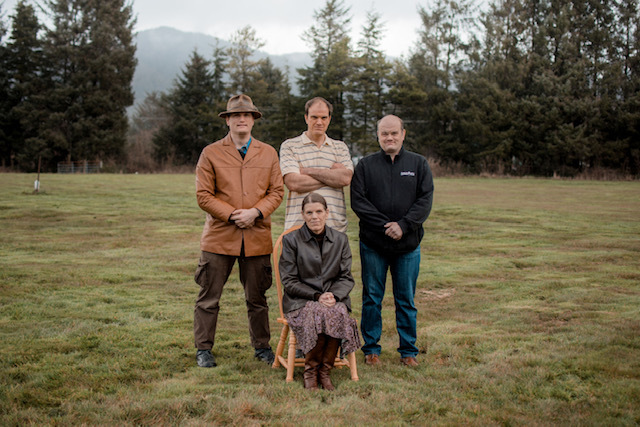 Yvonne, her husband and the boys moved to Tillamook in 2007 and into their current house in 2013. But after her husband passed away in 2016 and Yvonne’s medical bills began to stack up, money became tight for the Roose family. As the roof on their home began to fail this past year, Yvonne knew something needed to be done. “It had to be fixed, but I could not in any way pay them the original quote,” Yvonne said. The quote rounded out to $16,500, which was not a possibility for the family, so they began searching for help. 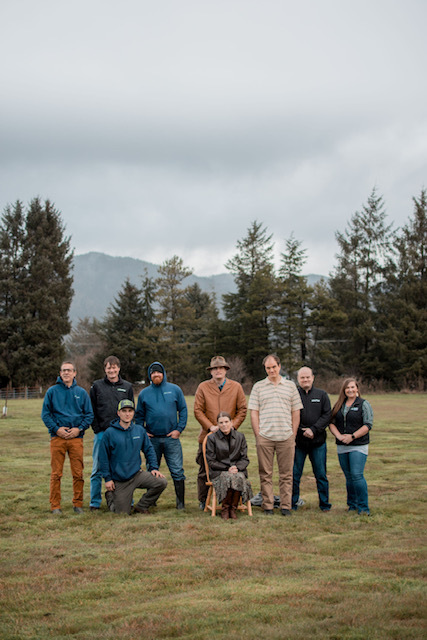 Once Lofton reached out to Aufdermauer, Executive Director of Tillamook Habitat, Yvonne was approved to be apart of Habitat’s Ramps and Rails program, which serves seniors, people with disabilities and veterans through in home safety modifications. The goal of the program is to help ensure people are safe in their homes. Lofton and Aufdermauer then set up a meeting with Malarkey Roofing Products to talk about materials and cost. Before it was replaced, the roof was in such bad shape that they weren’t sure it was going to last till the spring, according to Lofton. Thanks to Lofton and his crew for the labor, Dallwig Brothers Building Supply, who delivered the materials. Rosenbergs, who provided all the plywood and miscellaneous materials, City Sanitary, which provided drop boxes for disposal, Willy’s Welding, who did the metal for the job and Haltiners, who did the gutter system the project was completed and the house was saved. Yvonne said the help of all the community organizations has been greatly appreciated and something she hopes others will take advantage of if they need it. 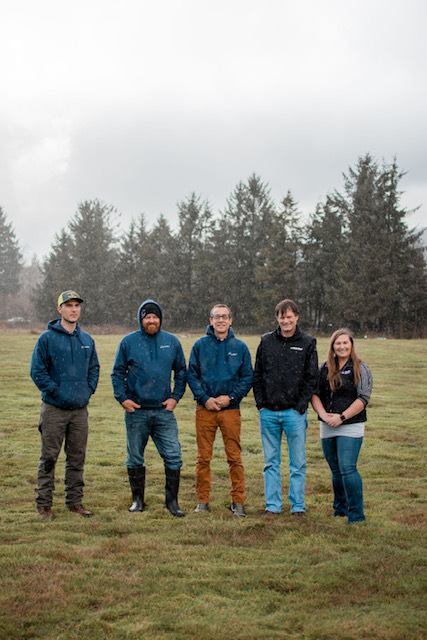 This project has not only helped out the Roose family, it has also sparked a partnership between many of these local organizations that will continue to work together in the future, like Malarkey Roofing. Although the bill was cut down significantly from the original retail price, the Roose family still has to pay for a portion of the project. But luckily Rick and Habitat were able to finance the project for them and they’ve already begun to pay it back, which is something Yvonne is happy to do.